An immediate classic when it was released. Can you overcall in a four card suit? When is it safest to overcall? When should you pass without even looking at your hand? If you partner overcalls, what do you need to bid a new suit? Is it forcing or can your partner pass. What methods do you have to show support for partner’s suit? What if your right hand opponent bids something over your partner’s overcall? Might you be able to use a Responsive Double? Should you be doubling them for penalty? How can you put maximum pressure on them to make a difficult guess? This is an important topic because the decision to overcall is so common. 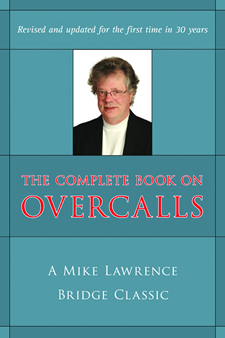 I guarantee that you will find many opportunities to use the material in this The Complete Book on Overcalls.